HANDPICKED REAL PEARL: 8mm Round AAA Quality, Handpicked natural freshwater cultured pearl earrings. GIFT YOUR LOVED ONES: Beautiful Suede Gift Pouch Included. Perfect for gifting or any occasions. SATISFACTION GUARANTEED: 30 days 100% Satisfaction Guarantee. Please Check Size references images and guide below before ordering. Contact us with any problems or questions. We value customer satisfaction above all else. Proudly an AMERICAN OWNED and Operated Company. Search "PAVOI Brand" on OpenSky for more of our QUALITY fashion jewelry at a price that makes sense. Ships within 1 business day. Will arrive in approximately 5-7 business days from order date. At PAVOI, quality is our top priority. Thats why each pair is meticulously hand selected and matched from thousands of top-grade AAA+ pearls, the best on the market. 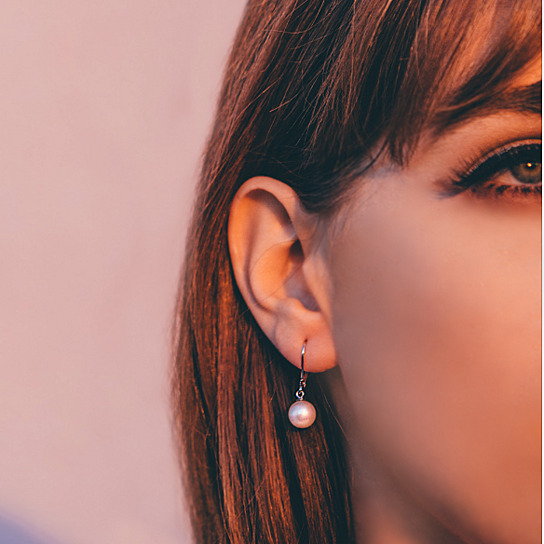 Our freshwater pearls feature a bright, rich luster with distinctive warmth. Their dazzling surface iridescence will not go unnoticed. They boast an ageless unique charm.